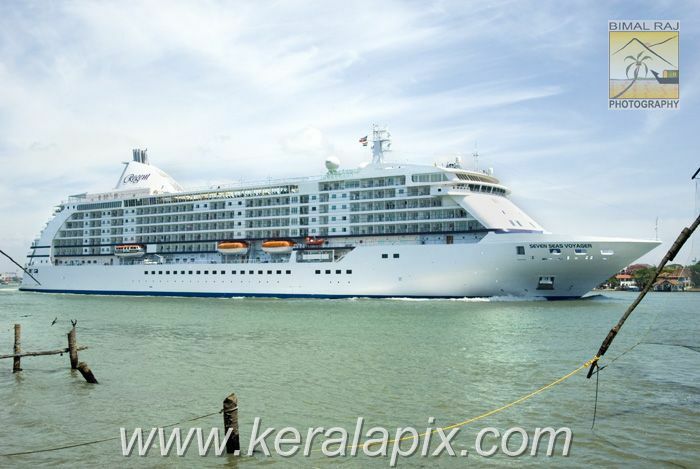 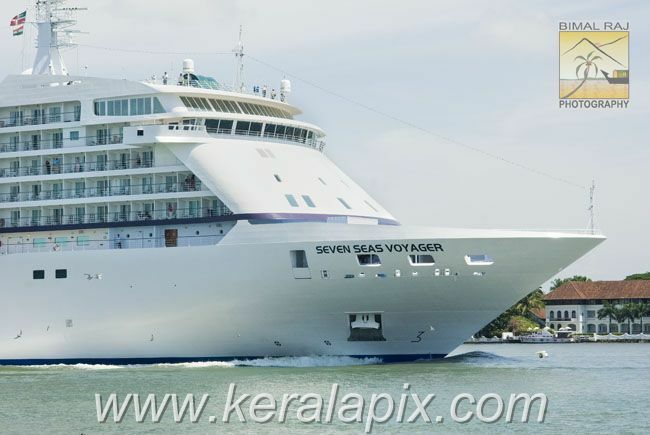 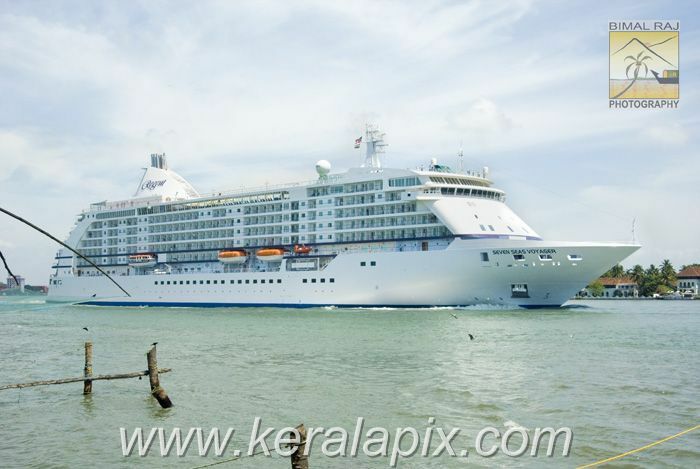 Images of Cruise ship MV Seven Seas Voyager which called at the Kochi port on Sunday 23rd march 2008. 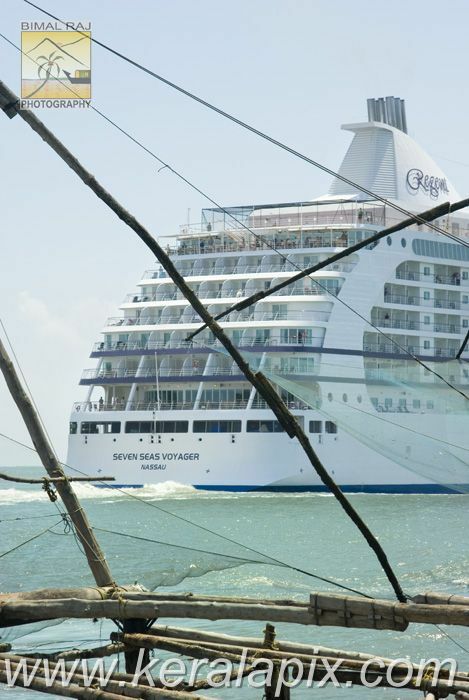 Seven Seas Voyager is a cruise ship owned by Regent Seven Seas Cruises. 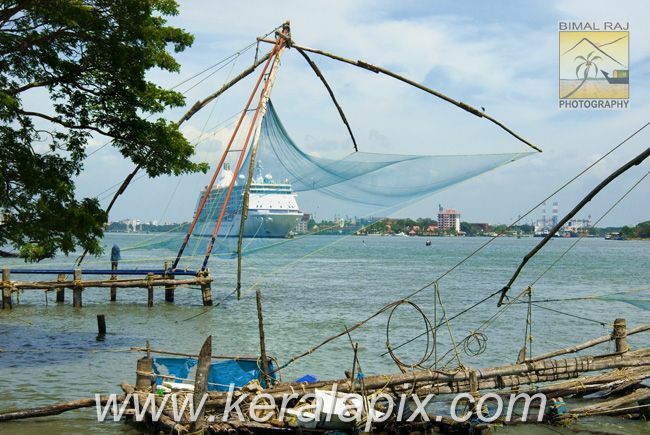 These photographs were taken on 24th March 2008 when she left Cochin for Mumbai. 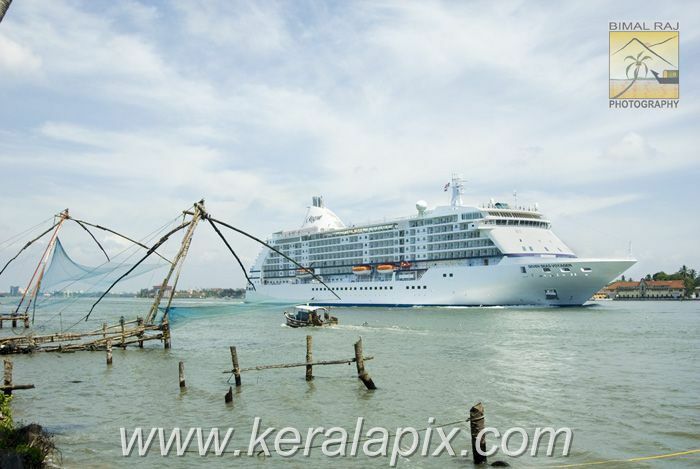 The ship arrived at the Ernakulam Wharf of the Cochin Port Trust. 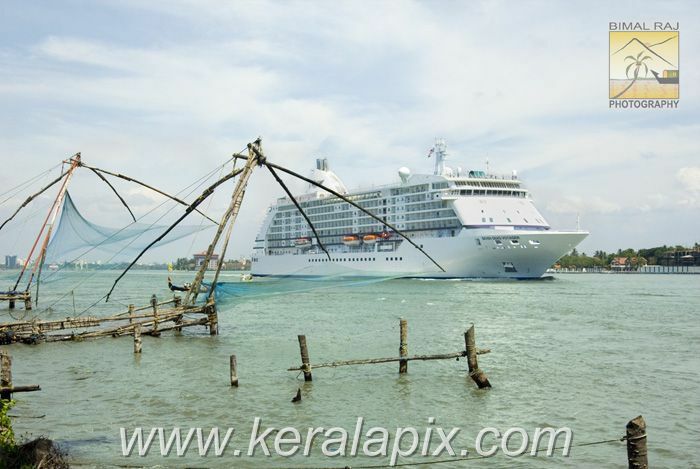 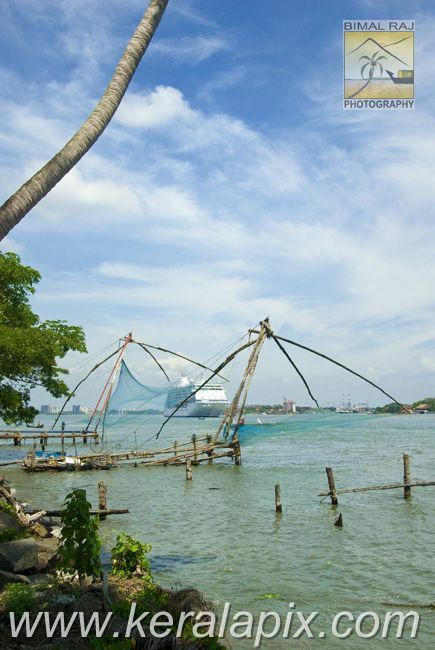 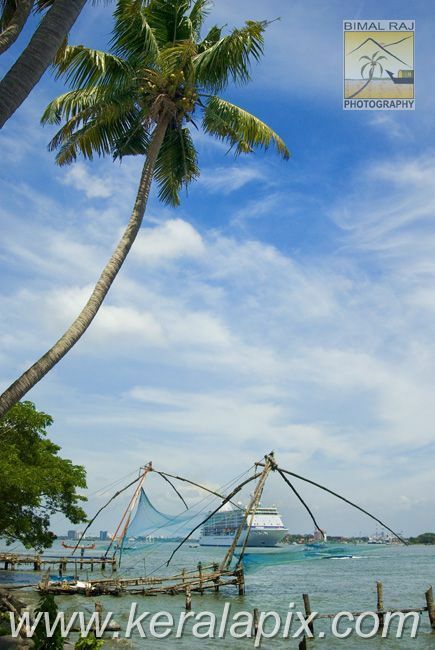 Kerala's popularity as `God's own country' and Kochi's strategic location as a port near the international shipping route are said to be the main attractions for cruise ships. 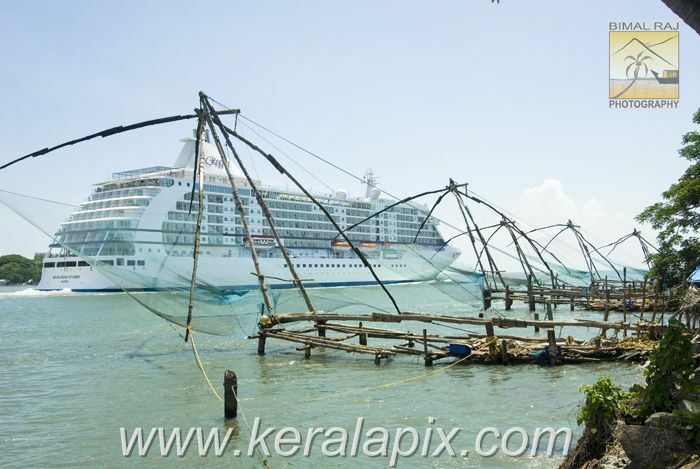 The unique feature of the vessel is that it has only suites, with a balcony attached.